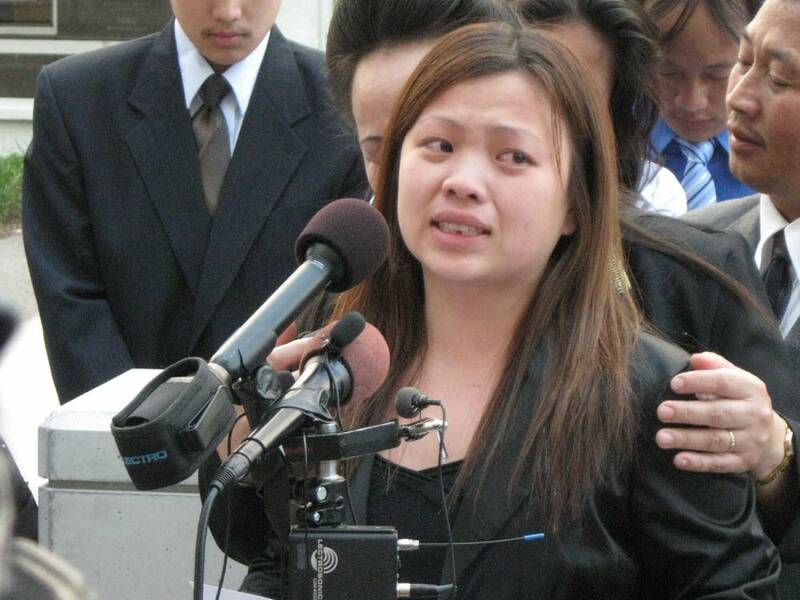 Family members of Fong Lee expressed their anger Thursday at a verdict exonerating the Minneapolis police officer who shot and killed the 19-year-old in 2006. A jury ruled Thursday that Officer Jason Andersen did not use excessive force when he shot Lee. The verdict was announced before Lee's family could get to the courtroom to hear it in person. 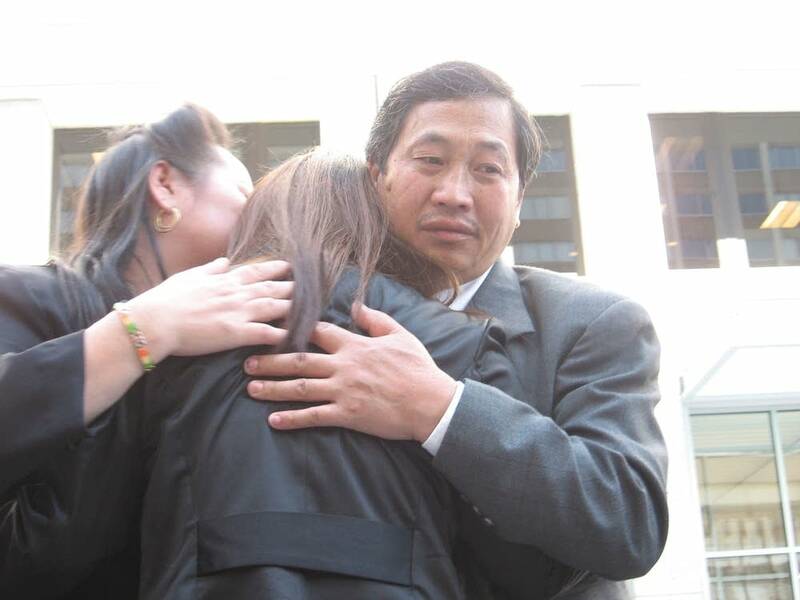 Youa Vang Lee, Fong Lee's mother and the named plaintiff for the lawsuit, burst into tears as she walked toward a row of cameras and microphones. Her daughter, Shoua, choked back tears as she read a statement on behalf of the rest of the family. Shoua Lee says her parents came to the U.S. from Laos in 1988 to find freedom and safety. "And on July 22, 2006, over 20 years later, that feeling of safety was shattered." 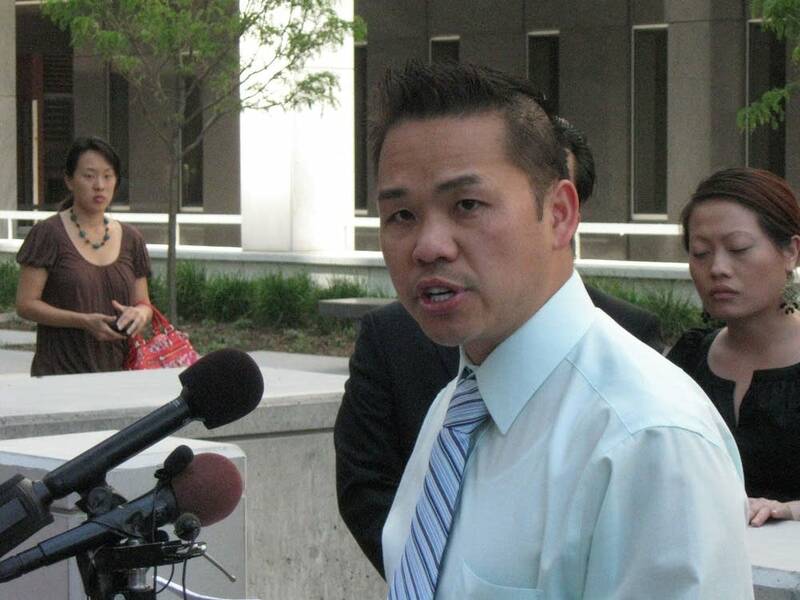 That was the night Fong Lee was shot and killed by Officer Jason Andersen. Andersen says he saw Lee with a gun and chased him. The officer said he shot Lee because he was afraid for his life. An all-white jury of eight men and four women ruled Andersen did not use excessive force. Since the shooting, the Lee family has questioned the police version of events. They believe that Lee was unarmed, and that an officer planted a gun next to Lee's body. Shoua Lee says her family's legal fight is not over. "Our quest for truth does not end today," she said. "We will continue to seek answers. We ask that you respect our wish to not take any questions at this time." A Lee family lawyer did not immediately return a call for comment. The Minneapolis city attorney's office released a written statement saying, "We did not seek to try the case in the press, but in the courtroom, where evidence takes precedence over allegations. Here, the evidence, as found by the jury, vindicates Officer Andersen." Police Chief Tim Dolan said in a statement that he was pleased that Andersen had been cleared. And he expressed hope that "we can all move forward and heal as a community." But that may take some time. Community activist Tou Ger Xiong says the verdict shows that Minneapolis police officers discriminate against people of color. "This does nothing more than to reaffirm the fact that we should fear police and members of law enforcement. Because it is saying to us, 'Watch out, if a cop thinks you pose a threat, you will be killed, you will shot, you will be killed.'" Xiong, who sat in the courtroom each day of the trial, also complained about pre-trial decisions made by Judge Paul Magnuson. For example, Xiong says the family had evidence that on two occasions Andersen made derogatory remarks about Asians. But Magnuson ruled that type of character evidence about the officer was not admissible. Xiong also expressed anger that the verdict was read while the family was out of the courtroom having lunch. "This is a small example of how this judge has ruled, in our opinion, has ruled in this case, with his prejudicial rulings. So we're not surprised. Therefore today's verdict was not only a slap in the face of the Lee family. But a disgrace to the community and the judicial process." A representative of Judge Magnuson's staff called the incident "unfortunate," and the result of a communication mixup. On July 22, 2006, a little before 7 p.m., Fong Lee was riding his bike with friends near Cityview Elementary School in north Minneapolis when a squad car driven by Officer Jason Andersen drove up behind them. One of the men riding with Lee, Nhia Lor, said officers drove up beside them and one of them said, "Hello" or "what's up?" Lor said then he heard one of the officers say "He's got a gun." 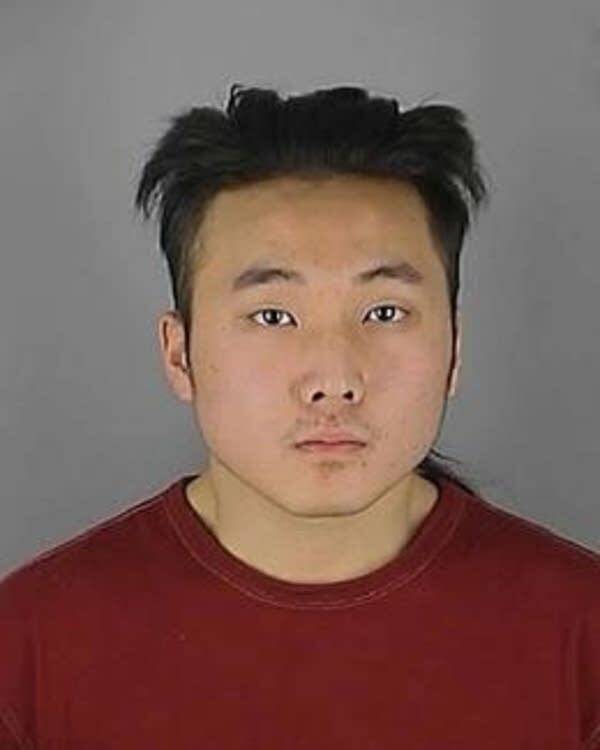 The officers sped up and went after Lee and another man named Too Xiong. Lor denied that Lee or anybody had a gun that day. According to Lee family lawyers, Lee was so scared by the car coming up behind him, that he dropped his bike and ran. Officer Andersen and his partner, State Trooper Craig Benz, got out of the car with their guns drawn and ran after him. Lee family attorney Mike Padden characterized Andersen as a rookie cop who was "overaggressive" and acted like The Terminator, because Andersen had made up his mind that he was going to track down and shoot Lee. Andersen's first shot at Lee missed. Padden said Andersen fired before Lee turned to look back at him. Andersen testified that he fired only after Lee pivoted his upper body back toward the officer. Padden said a woman living two or three houses from the school heard a scream before the next shots were fired. In all, eight bullets entered Lee's body. Padden claimed that following the shooting, one of the cops on the scene planted a gun three feet from Lee's left hand. He didn't say who it was, but he thought it too coincidental that the first officer on the scene of the shooting was officer Bruce Johnson. Johnson wrote up the burglary report on this same gun two years earlier. Police forensic experts testified that the gun found next to Lee had no traceable fingerprints, smudges or blood on the outside, nor were traces found on the bullets or clip. And while the forensic experts said that wasn't unusual, Padden found that improbable. On the day Lee was killed, the temperature had reached 77 degrees. Lee had been riding his bike for several hours. Padden said if Lee was handling a gun, he should have left some sweat or smudges somewhere on the gun. Throughout the trial, Padden also repeatedly referenced still images from nearby security cameras showing Lee running past a brick wall just seconds before he is shot and killed. Padden said the images clearly show that Lee had nothing in either hand. Officer Andersen testified that on the day of the shooting, he and trooper Craig Benz began following the five young men on their bikes. 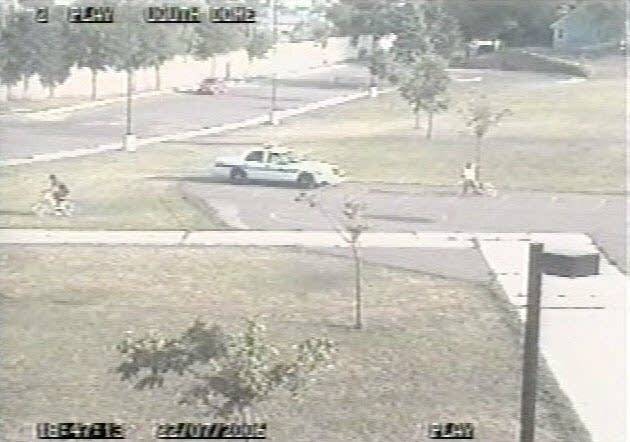 As they got closer, they saw Fong Lee and Too Xiong look back at the car and then break away from the rest of the guys. Andersen said he observed Xiong hand a gun to Lee. He said that's when he turned on the squad lights and siren and sped up. Benz also testified that he saw the gun. Andersen said Xiong split off to his right, and Lee dropped his bike and began running toward the school. He said he yelled numerous times for Lee to drop the gun. Andersen estimated the chase took about 30 seconds. Anderson said he never lost sight of Lee, or the gun. Andersen said Lee pivoted his upper body back toward him. Andersen fired one shot and missed. Then he said Lee turned again with the gun in his right hand, moving up toward a firing position. However, he couldn't remember how Lee was carrying the gun. Andersen said he fired three shots, which knocked him to the ground. He said Lee still had the gun and so he fired five more shots, which killed Lee. Defending Andersen was Minneapolis city attorney Jim Moore. Moore said Andersen believed his life was in danger and was justified in shooting Lee. In his closing statement, Moore attacked the plaintiff's case. He told the jury that to find Andersen guilty of excessive force, they would have to believe that Andersen just decided to chase down and shoot and unarmed man. Moore said it would have required a conspiracy between Andersen, trooper Benz and other cops. Moore said the night of the shooting was the first time Andersen and Benz had met. Moore also offered another way of looking at the security camera footage. He presented frame-by-frame footage of officer Andersen and trooper Benz running past the camera as they chased Lee. In one still image, the gun in Benz's hand seems to disappear. Moore blamed the poor resolution of the camera. He also pointed to another still frame taken from the beginning of the chase, which he said showed a gun in Lee's right hand. 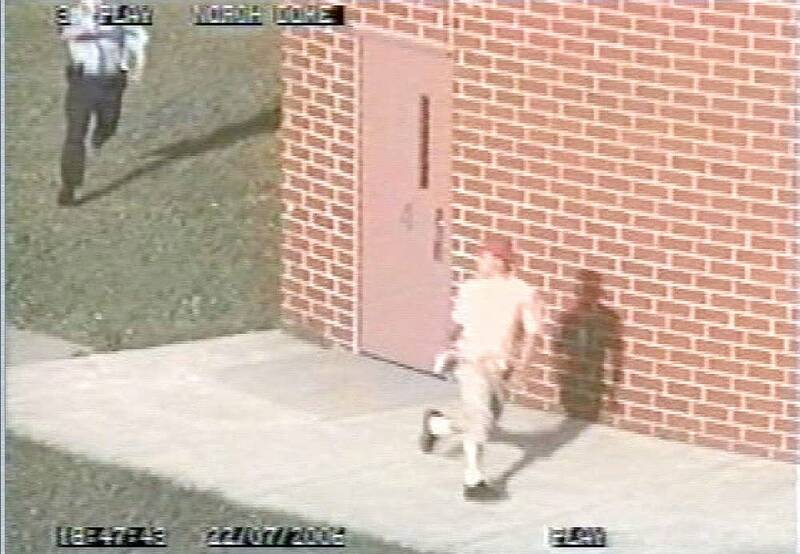 Next, Moore presented the footage of Lee running past the brick wall. Moore said even he had trouble seeing a gun in Lee's right hand. But he asked the jury to consider that Lee was palming the gun, which would make it hard to see from the camera's vantage point. Moore also said the autopsy report completely supports officer Andersen's account. He said the bullets entered Lee's body in a manner which shows he was turning around as he was being shot. The defense's final witness was a woman who lived about four houses north of the school. She said she heard a voice yell, "put down the gun," and then a series of gunshots. However, two other women with her at the time said they didn't hear the voice, they just heard the shots.